Simple online parent portal that actual works. 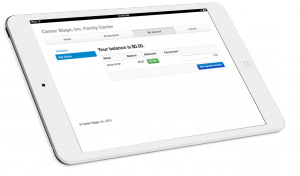 Make it easy for your customers to do business with you. No more waiting in line for hours waiting to register for classes. No more hand-written chicken-scratch enrollment forms. Do it all in an iPad friendly environment that’s super easy to use and loved by parents. Easy links that can be posted on Facebook, Twitter and your Website. 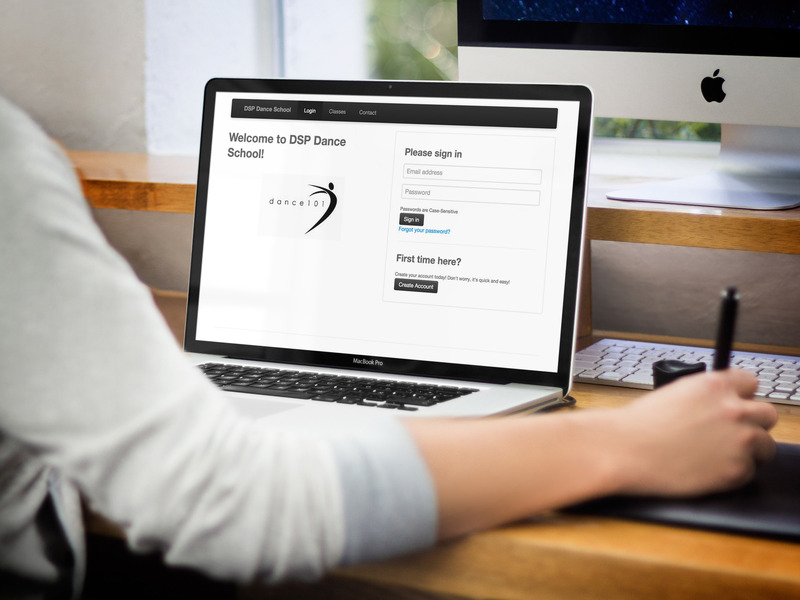 DanceStudio-Pro.com is the only dance studio software that allows parents to register their children online an get real-time class and tuition information. Unlike other systems, the parents know exactly how much their tuition is before they register for classes. This includes their multi-student discounts, registration fees and promotions. DanceStudio-Pro also limits classes based on age and capacity and keeps everyone informed with Text messages and emails. 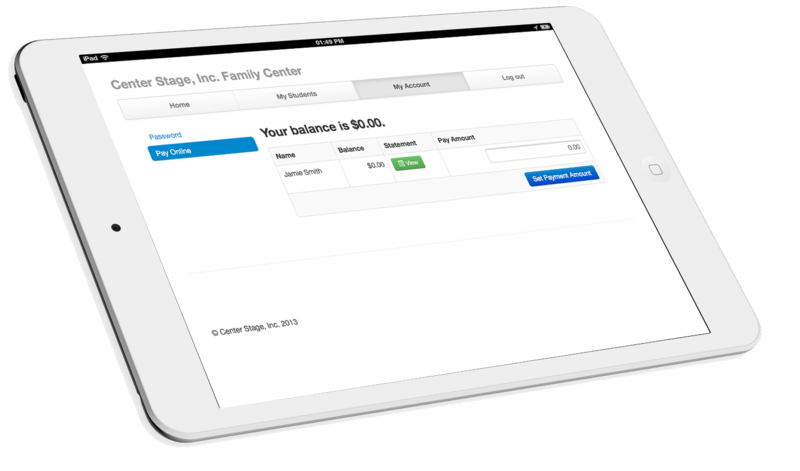 Don’t forget, parents can also see how much they owe for tuition and pay you directly online with a credit card or PayPal account. Here’s a quick video to show you how it works. Collect tuition and registration fees before class enrollment. It frees up your time.